Read our full review of the high-speed 24 megapixel Leica SL (Typ 601) Full-Frame mirrorless camera - Leica's replacement for the DSLR. The Leica SL (Typ 601) is a new full-frame mirrorless camera with a 24-megapixel sensor. The camera features a 4.4 million dot electronic viewfinder, 4K video recording, a 2.95inch touch screen plus a top LCD screen. The SL (Typ 601) is available with an RRP of £5050 including VAT body only, with the Leica Vario Elmarit SL 24-90mm f/2.8-4.0 ASPH lens available for £3150 inc VAT. 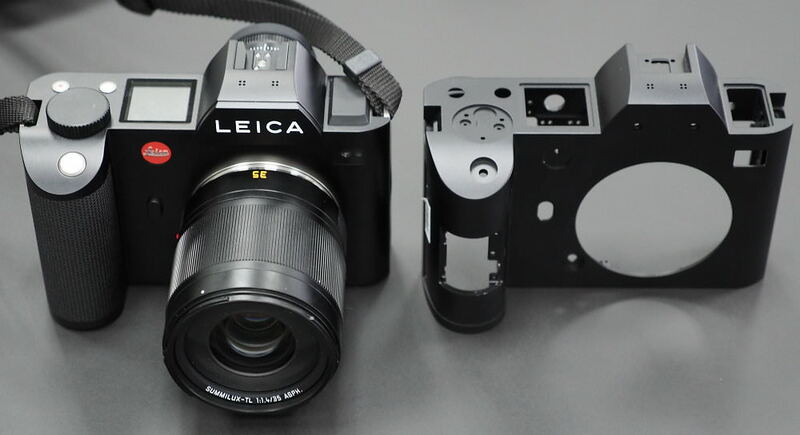 Designed by Leica to be the beginning of a new era of professional photography Leica say this is the first mirrorless system camera of it's kind, and is made in Germany, at the Leica Factory in Wetzlar. We put the camera to the test and see how it performs, and whether the Leica SL can live up to some of these claims. At the heart of the camera is a full-frame 24 megapixel CMOS sensor which is exclusive to Leica. It has an ISO range of ISO50 to ISO50,000. The sensor has a built in IR Filter, but no Low-pass filter, which should mean that images are sharp and detailed. The camera also offers 11fps continuous shooting at 24 megapixels, with up to 7fps continuous shooting with continuous AF available. 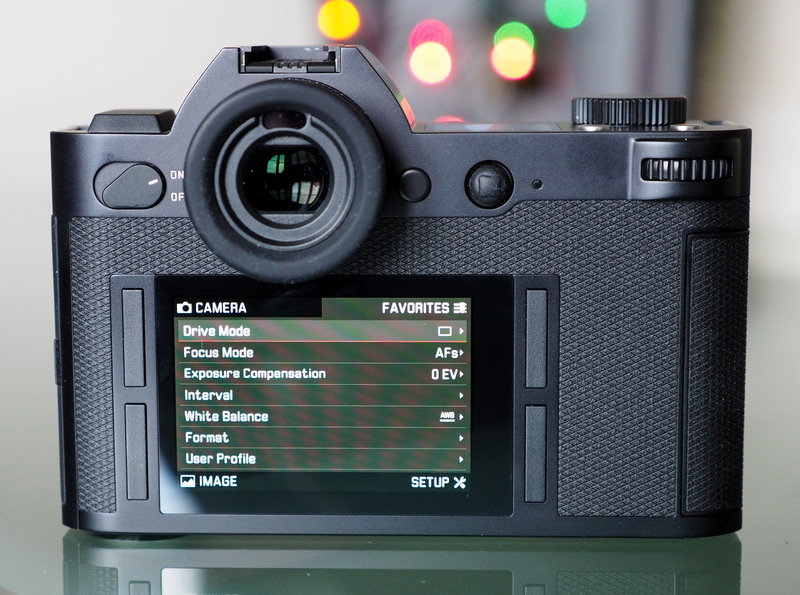 The "EyeRes" Viewfinder, has a 4.4million dot resolution, which Leica say has an imperceptible latency time, they also claim that the viewfinder could be mistaken for an optical viewfinder. The EVF has an impressive magnification of 0.8x, making it larger than all Digital SLRs. Leica claim the fastest autofocus of all professional cameras - including DSLRs - a bold claim, particularly as the Leica SL uses contrast, rather than phase detection, focus. Rugged and resilient - The Leica SL has a dust and splash proof body with the chassis machined from solid aluminium, and the new lenses are also weather sealed. There is also an optional battery grip which will be available from Spring 2016, which doubles the battery life. The camera uses the same lens mount as the Leica T (Typ 701), which was called the Leica T lens mount, however it's now been renamed as the Leica L-Mount, which is for the full-frame Leica SL camera, and the Leica T (APS-C) lenses are now being released with the name Leica TL, with two new Leica TL lenses recently announced. Leica TL lenses will work with the Leica SL in crop mode, with the camera taking 10 megapixel images. Alternatively these lenses can be used for 4K video recording. Leica say that the SL is compatible with 145 Leica lenses - a number of Leica T lenses, or other Leica lenses with the appropriate adapter. Video features include FullHD video, plus 4K video recording as CINE4K or UHD direct to memory card. Although in order to add microphone and headphone sockets, you need to purchase the optional Audio Adapter (AA-SCL4) which provides 3.5 mm jack sockets for headphones and a remote microphone. Wi-Fi and GPS are built in. The Leica SL App is available for Android and iOS devices, and lets you remotely control the camera from a smartphone or tablet, as well as transfer images. With a weather-sealed camera body made of a single piece of aluminium, the Leica SL (Typ 601) is a solid feeling and sturdy digital camera. When you pick up the camera, you can feel the quality and weight of the camera, giving you re-assurance that this is a professional camera. You can also see how thick the aluminium body is when looking at the bottom of the camera. The battery is rather neat, with a catch to release the battery without it falling straight out of the camera, instead you need to press it in slightly before it will completely release. There is a large, textured, rubber grip around the handgrip, and covering a vast area of the back of the camera. The memory card compartment cover is made out of strong plastic, and keeps the memory cards in a weather sealed enclosure when it is closed. On the left of the camera is a large rubber cover that covers the camera ports, which include flash sync, multi-port (optional headphone, microphone, and remote connections), full-size HDMI and USB 3 sockets. 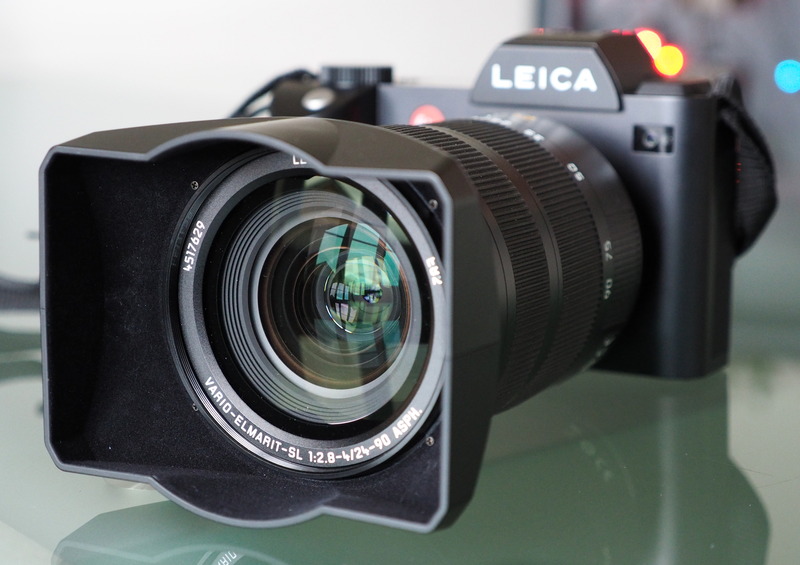 The camera is provided with a padded and shaped Leica neck strap, which will help support the camera. For those with smaller hands, it may feel a little too big, and we found that we occassionally had to stretch our fingers to reach some of the controls. Holding the camera with two hands is definitely recommended, and would be considered necessary with the 24-90mm lens. The electronic viewfinder (EVF) is large, impressively so, and with 0.8x magnification is larger than any full-frame Digital SLR or Mirrorless camera. With a very high resolution of 4.4m dots and a clear display it makes this the most enjoyable way to use the camera rather than using the touchscreen on the rear. There is a built-in eye-detection sensor to automatically switch between the EVF and rear screen, however there was a slight, but noticeable, delay while you wait for the camera to switch over to the EVF when you hold it up to your eye. There is also dioptre adjustment. You're unlikely to mistake it for an optical viewfinder due to the dynamic range visible to your eyes. The EVF is has high levels of contrast, aalthough black appears as very slightly grey. Colours aren't as accurate as real life, with overly saturated colours, and there is a slight difference between the colours displayed in the EVF and the screen. There are options to adjust the eye sensor sensitivity, and LCD brightness, but no option to adjust the colour of the EVF or screen. One of the major benefits of an electronic viewfinder rather than an optical viewfinder, is the ability to see in low light. It's also possible to see the scene as the camera is seeing it, without first having to take the photo. The control system is strangely intuitive despite having 4 unlabelled buttons on the side of the screen. The rear control wheel can be used to change settings such as the shutter speed or alternatively you can push it in to change the camera's mode. The top control wheel also changes settings or alternatively in playback can be used to zoom into the photo. There is a small joystick on the back that you use to scroll through the menus and options, and it can be pushed in as a button. On top of the camera is the LCD display that shows camera settings, and automatically illuminates in blue when you are in a dark environment. 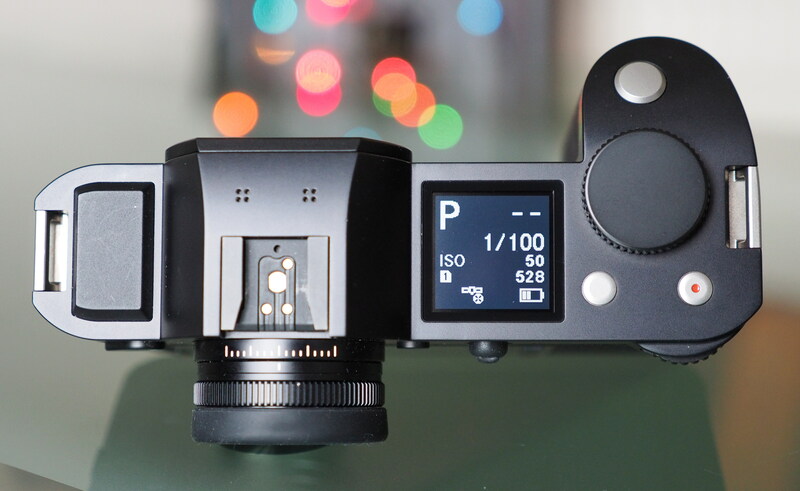 There is a flash hot-shoe, an unlabelled button that switches between photo and video modes, as well as a video record button, command wheel, and shutter release button. On the far left is the Wi-Fi / GPS transmitter / receiver. The menus are clear and easy to understand, although you can't use the touch screen to scroll through the menus or select items, instead you need to use the joystick and / or the scroll wheels. There are 37 or 49 focus points available, and these cover a fairly wide area of the screen. There is an AF detection range from -4EV and a built in focus assist lamp helps the camera focus in low-light. You can use the touch-screen to select the focus point from these. 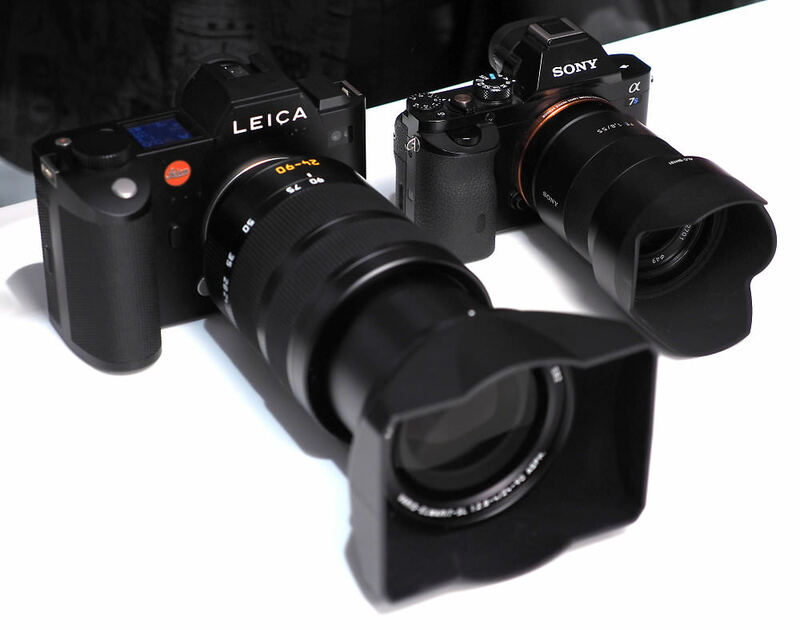 Leica SL (Typ 601) with 24-90mm next to the Sony Alpha A7s. The thing that strikes you when you first see the Leica SL is the size of the camera, which is noticeably larger than other full frame mirrorless cameras such as the Sony Alpha a7 series. 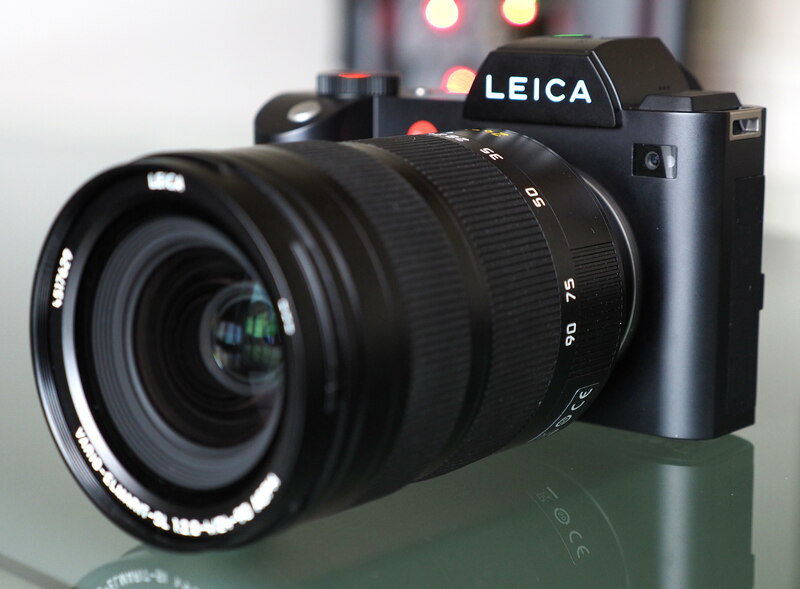 It's also large in comparison to the Leica Q, which also features an FF (full-frame) sensor. The FF lenses that are available for the SL are large, noticeably so, with the 24-90mm lens weighing over 1.1kg, and it's not until the release of the 50mm f/1.4 lens in 12 months time that a smaller (native) lens will be available for the SL. You can use Leica T mount lenses, although, as these cover the APS-C sensor, it will result in a lower resolution cropped photo. It's a shame that a compact prime lens hasn't been released at the same time to give buyers the opportunity of a more compact system. At the moment, an FF Canon 6D and prime lens is likely to give a smaller and lighter system than the SL and one of the zoom lenses. However, one of the major advantages of the Leica SL is the high-speed continuous shooting speed of 11fps (24mp), which puts it into competition with high-speed full frame alternatives such as the Canon EOS 1D X (18mp, 14fps) and Nikon D4s (16mp, 11fps). The 1D X and D4s (1340g with battery and card) are both significantly larger and heavier than the SL, with lower resolution sensors. Wi-Fi features - Using the Leica SL App, which is the same as the Leica Q App, you can remotely control the camera, shoot photos and video, as well as change settings and view photos for transfer to the smartphone. Setting up the connection is fairly straightforward, with the app scanning a QR code displayed on the camera. 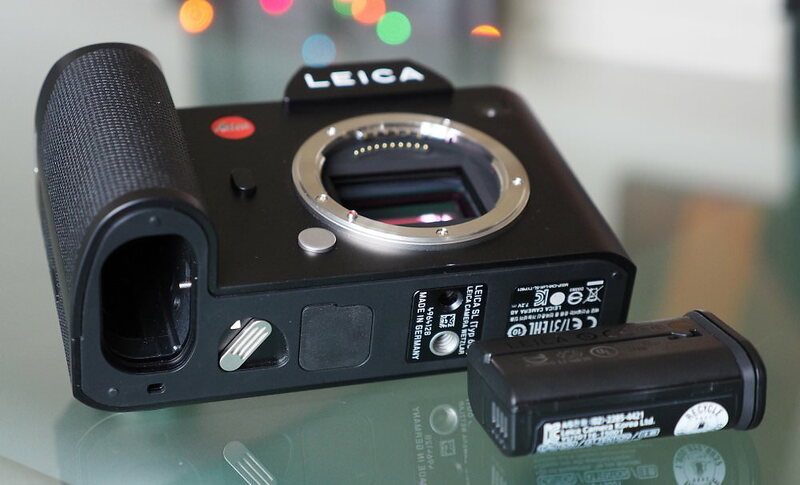 Battery life - Battery life is rated at 400 shots according to Leica / CIPA test results, which is reasonable for a mirrorless camera, but low compared to Digital SLRs, and the optional battery grip will double battery life. Hmmm German minimalist approach, as usual. No tilting back screen, or eyepiece yet. Rather small back screen don't you think? More improvements on the camera and more money on my bank account. I do have lots of patience. For those who'll get it... Enjoy it! [quote]400 shot battery life[/quote] Really? You wouldn't want to use those 11fps too much. Really? You wouldn't want to use those 11fps too much. for example !!! !.................Father Christmas can forget this one !!!!. For £5K I would expect a camera that doesn't look like it was designed by a school kid - bloody ugly thing! "One of the major benefits of an electronic viewfinder rather than an optical viewfinder, is the ability to see in low light." Agreed - but I have a sort of electronic viewfinder on my DSLR: it's called Live View. Too bright to use the rear screen? Simple, use the optical viewfinder. I sincerely hope that optical viewfinders don't fade away in the face of the EVF onslaught, as all we will be left with is the electronic representation of what the sensor is recording. While that may be seen as an advantage, I can already get that from the rear of the camera. Optical finders work better in bright light, and don't drain the battery. When sensors and EVFs have the dynamic range and resolution to match the human eye, maybe then we can give up optical viewing systems. [quote]"One of the major benefits of an electronic viewfinder rather than an optical viewfinder, is the ability to see in low light." Agreed - but I have a sort of electronic viewfinder on my DSLR: it's called Live View. Too bright to use the rear screen? Simple, use the optical viewfinder. I sincerely hope that optical viewfinders don't fade away in the face of the EVF onslaught, as all we will be left with is the electronic representation of what the sensor is recording. While that may be seen as an advantage, I can already get that from the rear of the camera. Optical finders work better in bright light, and don't drain the battery. When sensors and EVFs have the dynamic range and resolution to match the human eye, maybe then we can give up optical viewing systems. [/quote] I think that nowadays with most cameras, when you put your eye to the evf, the screen turns off, so there's no further drain on the battery. 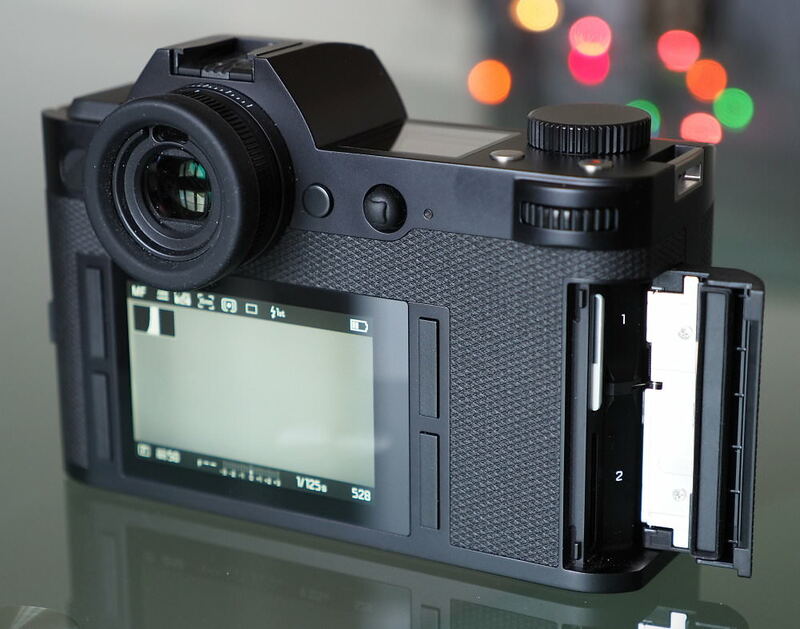 And with some cameras ( GH3/4 for example ) you can choose to have the screen permanently off... the evf on its own will obviously use less battery power. Also, if you are using an evf and want to make exposure adjustments, you can see the effect of your changes without taking your eye away from the finder ( which means recomposing ) .... I personally see that as a considerable advantage over an optical finder. In any case, I don't really see why you would need an evf to have the exact characteristics of the human eye... how would that help you with over all exposure and composition? Back in the days of film, I always lusted after a Leica, but anyone who pays 8 grand for this must be crazy. Quote:"One of the major benefits of an electronic viewfinder rather than an optical viewfinder, is the ability to see in low light." Agreed - but I have a sort of electronic viewfinder on my DSLR: it's called Live View. Too bright to use the rear screen? Simple, use the optical viewfinder. I sincerely hope that optical viewfinders don't fade away in the face of the EVF onslaught, as all we will be left with is the electronic representation of what the sensor is recording. While that may be seen as an advantage, I can already get that from the rear of the camera. Optical finders work better in bright light, and don't drain the battery. When sensors and EVFs have the dynamic range and resolution to match the human eye, maybe then we can give up optical viewing systems. I think that nowadays with most cameras, when you put your eye to the evf, the screen turns off, so there's no further drain on the battery. 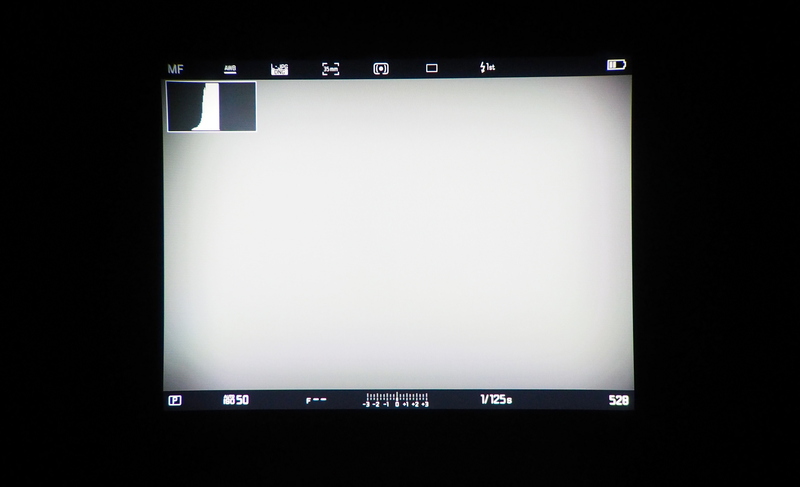 And with some cameras ( GH3/4 for example ) you can choose to have the screen permanently off... the evf on its own will obviously use less battery power. Also, if you are using an evf and want to make exposure adjustments, you can see the effect of your changes without taking your eye away from the finder ( which means recomposing ) .... I personally see that as a considerable advantage over an optical finder. In any case, I don't really see why you would need an evf to have the exact characteristics of the human eye... how would that help you with over all exposure and composition? 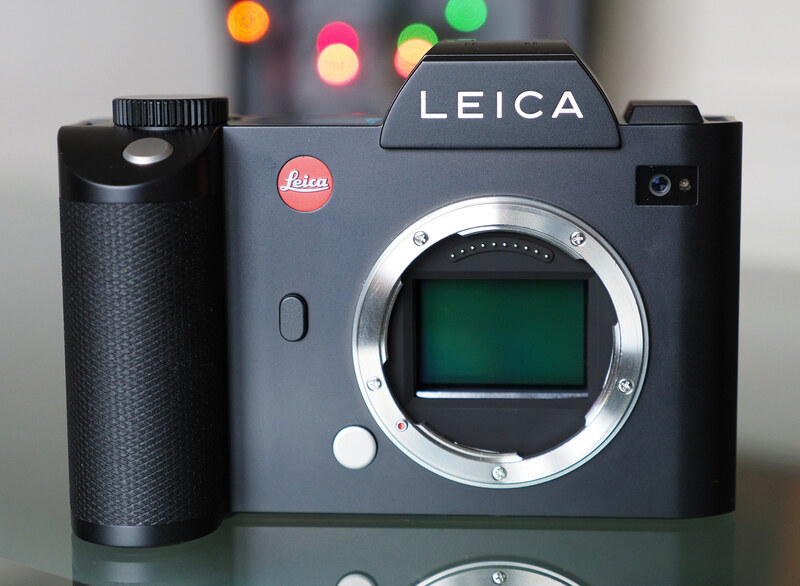 Back in the days of film, I always lusted after a Leica, but anyone who pays 8 grand for this must be crazy. I was dumb enough to buy this HEAVY camera. While it takes very good photos, it also has many faults. The speed of startup in this article is correct but ONLY with the auto focus giant 24-90. When using a manual focus lens (like M or R lenses) the startup is an unbelievable 5.5 seconds. I have tried 5 SD cards of various sizes/brands and it doesn't matter. Also the focus zoom button is the lower left screen button, and it can't be changed. Imagine how hard it is to hit that button when you want to quickly zoom to make sure your 0.95 shot is spot on. Also once you move the magnified focusing patch to your required spot for a portrait shot, it doesn't remember where you placed it. You have to move it every time you want to use the zoom focus. Therefore it is nearly useless. Focus peaking is nearly useless too. It is way to faint. Now I have to wait for Leica to patch this problem and knowing them it will take about 12 months. My advice is to stay away from it until it is patched. Don't be a beta tester like me. [quote]"I think that nowadays with most cameras, when you put your eye to the evf, the screen turns off, so there's no further drain on the battery. And with some cameras ( GH3/4 for example ) you can choose to have the screen permanently off... the evf on its own will obviously use less battery power. Also, if you are using an evf and want to make exposure adjustments, you can see the effect of your changes without taking your eye away from the finder ( which means recomposing ) .... I personally see that as a considerable advantage over an optical finder. In any case, I don't really see why you would need an evf to have the exact characteristics of the human eye... how would that help you with over all exposure and composition? "[/quote] What you say is true, of course, but for my type of photography I need to look beyond what an EVF is telling me. Because the dynamic range of the human eye is greater than what an EVF can show, I can better see what is in the shadow areas with an OVF, so that I can bring out those details out in post-processing. I should say that PP is a large part of my style, and I often vary the exposure of areas of my photos after they are taken. If one does not go in for much post-processing, then I imagine that an EVF has many advantages. That said, I have not yet come across an EVF that I felt really at home with, though I have only tried those on micro four-thirds cameras to date. I find that they are not good in bright ambient light. The Leica one may be marvelous, for all I know, but I will be staying with DSLRs for the foreseeable future. Quote:"I think that nowadays with most cameras, when you put your eye to the evf, the screen turns off, so there's no further drain on the battery. 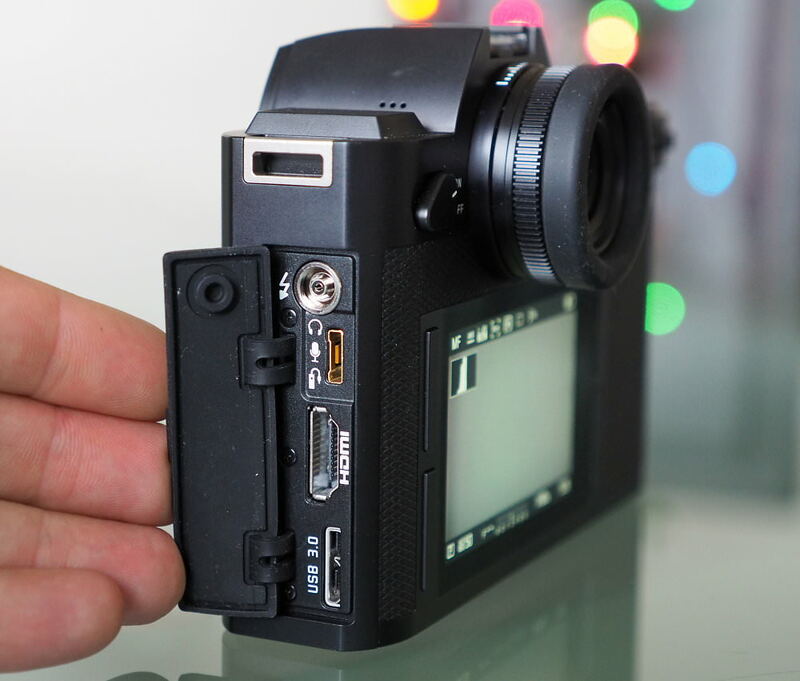 And with some cameras ( GH3/4 for example ) you can choose to have the screen permanently off... the evf on its own will obviously use less battery power. In any case, I don't really see why you would need an evf to have the exact characteristics of the human eye... how would that help you with over all exposure and composition?" What you say is true, of course, but for my type of photography I need to look beyond what an EVF is telling me. Because the dynamic range of the human eye is greater than what an EVF can show, I can better see what is in the shadow areas with an OVF, so that I can bring out those details out in post-processing. I should say that PP is a large part of my style, and I often vary the exposure of areas of my photos after they are taken. If one does not go in for much post-processing, then I imagine that an EVF has many advantages. That said, I have not yet come across an EVF that I felt really at home with, though I have only tried those on micro four-thirds cameras to date. I find that they are not good in bright ambient light. The Leica one may be marvelous, for all I know, but I will be staying with DSLRs for the foreseeable future.